P90X vs BODY BEAST – Which One Should I Do? This question of P90X vs BODY BEAST “Which one should I do?” is coming up more frequently just as I suspected it would with the growing popularity of BODY BEAST. Its a great question and one that I have had to put quite a bit of thought into because its not JUST about which program is going to get you the best results. I have always said that fitness and your health are a journey – not a destination, so more importantly its about which program you are more likely to stay dedicated to. But for grins and giggles lets take a look at each program, P90X vs BODY BEAST, and decide which one is the right fit for you and your goals. This is very important because like I said before, “Your fitness and your health are a journey – not a destination” which means that there are things you need to think about before choosing to go with P90X or BODY BEAST right out of the gates. Previously I said that its important to take into account which program you would more likely stay dedicated to for the duration – both P90X and BODY BEAST are 90 day programs. The reason this is so important is because you want to develop the habit of exercising regularly. Dont even think about which will get you the best results right now…think of which one you can most likely commit to and stay committed to in order to develop the habit of workout out everyday. Here is where I draw the line in the sand that separates these two programs…First though, can you lose weight with BODY BEAST – Yes! Can you lose weight with P90X – Yes! So which one should you go for? I am going to have to say that if you have 20lbs or more of fat to lose, then you are going to want to complete a program like P90X first before diving into BODY BEAST. 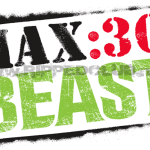 The reason being is that BODY BEAST does not focus much on cardiovascular endurance which plays a ginormous role in your overall health. 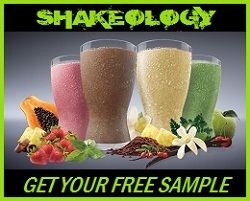 Your health is what really matters here…not how many tickets you can sell to the gun show…The decision is ultimately up to you, but to really tackle the extra fat that is literally taking years off of your life, you are going to want to get rid of it asap and with P90X, you get muscle building, heart pumping workouts that are going to blast fat! On the other hand, if you dont have a lot of fat to lose and are really looking to add some size while cutting some fat in the process, then BODY BEAST is absolutely perfect for you! 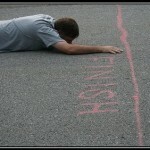 At some point, you are going to want to make cardiovascular workouts a more common practice in your fitness regimen. See BODY BEAST focused solely on gaining mass and high intensity cardio is the enemy when that is your primary goal. Thats why you only see one cardio workout in the entire BODY BEAST program. But always keep your overall health in mind, which means a good balance between resistance training and cardiovascular training. P90X focuses on overall fitness through a variety of resistance training workouts that use primarily your own body weight, high intensity cardio, core strengthening, yoga, and even some variety with Kenpo X (martial arts). I love how Tony Horton describes P90X; he says that, “P90X is in-home fitness for the outdoor world”. And when you think about the range of fitness techniques that P90X incorporates, it really is the most applicable fitness routine for real life. It cover strength, stability, flexibility, cardiovascular endurance, and even mentally gets you fit! BODY BEAST, while equal in its effectiveness of helping you reach your goal – has a much different…singular focus…Get HUGE! Every single workout and individual set and rep is focused on increasing the size of your muscles and increasing your strength. If that is your goal then heck yes, go for it! LOL, there isnt much else to say about it…like I said, it has a singular focus of increasing size and strength- and thats the results you get. But you need to ask, “how is this going to benefit me?” Will it make you more confident? Will it help you in a sports activity? These are some of the things you need to be asking. If I could only choose one or the other I would have to go with P90X all the way for the simple fact that it covers all the bases of fitness with: resistance training, cardio, flexibility, core work, and stability. I personally am a more functional fitness type guy. I like to see results that show up on the court, the field, and still looked ripped doin it! Thats why I love P90X so much is because you can get absolutely shredded and at the same time show up on the court 90 days later and blast everyone with your crazy endurance! But I will say it one more time – when answering the question P90X vs BODY BEAST: “Which one should I do?” , you need to make the choice that is going to benefit you and your goals the best. Either way – please dont forget to focus on your nutrition as the primary source of your results! 80% of your results will come from how well you stick to the nutrition plan. If you have not been there yet, check out the Nutrition Zone where I walk you through step-by-step how to get your nutrition right! 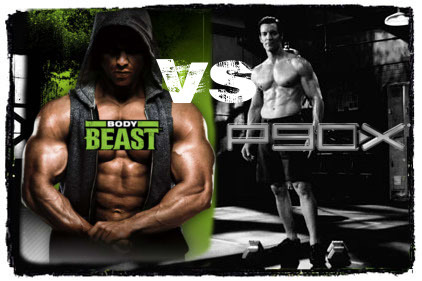 Which do you prefer, P90X or BODY BEAST? Let me know your thoughts below in the comments and be sure you like this post if it was helpful! Hey, I'm 6 foot 185 pound 18 year old. I have a decent amount of fat I want to get rid of but my goal is to get bigger muscles. Would body beast be better than p90x for me? I just want to lose my stomach fat while gaining all around muscle. @mlbbaseball5 hey bud! honestly, I would say that P90X is better for fat loss and muscle gains simultaneously. How much weight are you lookin to lose man? I'm 4'11", 105 lb, 30 yr old female. I did insanity 3 years ago and had great results, and for the past year I've only been running 3-5 times a week between 3-7 miles. I recently learned that I cannot do a pull up anymore, or a vertical push-up, both of which I was able to do last summer. I was looking to gain some strength without the bulk, I have been considering p90x3 or body beast.....which would you suggest? @RyanJohnson2 I would say that you should do whichever program you would most likely stay committed to. If you like big lifting then body beast is the way to go. If you like variety, then p90x is the way to go. @Martin91 Hey bud! I would say that P90X would be your best bet. Body Beast is really focused on gaining size and strength while P90X is more "functional" fitness. I think P90X has proven to be a program where people have gotten BETTER results than Body Beast. And by no means will P90X make you really skinny...How long you been a fitness instructor? HEY coach! im planning on shedding a bit of body fat off and I want to look ripped, but i also want to keep my strength , i overall just to be big AND shredded you know? which program would u recommend me doing? One thing though, I think that 10lbs of muscle in 90 days as advertised is a little misleading but in no way is this program not useful. This program is GREAT! And I ONLY recommend it to people that are self motivators that will follow through, otherwise you're just wasting your money and time. If you don't follow through, don't complain that you're not seeing results if you don't follow this program as closely as possible. I only wish a program like this was available when I was younger. But at 36 I am in the best shape of my life and I look better than most 20 yr olds and I love it! The best part of this is when people you haven't seen a while tell you that you look bigger and when girls at the beach are checking you out. What could be more motivating that that? I invested with this program. I have a workout room in my house. My own personal gym. I have all the equipment I need for this program that I bought little by little as I was finishing P90X. But let me tell you that it's not very expensive and if you have a gym membership you'll probably be wasting more money over time than the equipment you need for body beast. I swear by this program! Cheaper than a personal trainer, and it most definitely works. 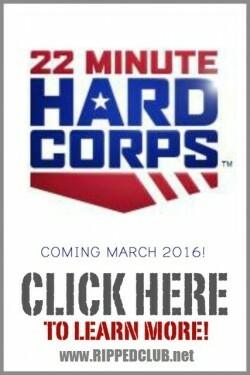 Just count on doing multiple rounds of this program to reach your goals and there is nothing wrong with that. Making fitness should be a way of life and NOT a destination. I'm half way through my third round and I plan on doing a 4th and 5th. @mario zugasti FRIGGIN AWESOME Mario!!! 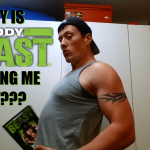 what kind of gains have you seen with Body Beast??? I so agree!! I'm 42 and completing first round of body beast. Three quarters of an inch on my arms!! Going to chill a tad over crimbo.... Total body workouts and more cardio, but can't wait to start second round in new year. I wish I knew what I know now when I was younge!!! Hey Coach, right now i am in the middle of P90X routine and I am using it to gain mass since I am following a high calorie diet, but I wante to know if its ok if I change to Body Beast even though i havent finished the 90 days of P90X. My main goal is to gain mass, more so than felxibilty and endurance and P90X has given me results, but I feel Body Beast will be better for me. I have gone from 140 punds to 148 punds WITH p90x. What do you think? Hey coachtodd ,I am 16 just started insanity it is great I have al ready lost about 10cm of my waist and it got me more exited about beachbody products.Now I am wondering about P90x and P90x'2 also about Body beast , see I want to have a muscular body and feel better about myself in general also, you can see the girls love it.I have read all you said that P90x is better for overall fitness but I dont do sports after an accident thats why I thought Body Beast + Insanity what do you think ?? Dragonfyre: Definitely go for P90X of these two, but Insanity would be even more appropriate in my opinion. I'm currently training for a triathlon, and I want to do a strength training program to supplement the daily running/biking/swimming since I'm pretty skinny. Would you recommend P90X or Body Beast? what do you think, coach? Great site and dedication Coach Todd! I've found you in my research of Beach Body programs. Thank you for sharing your experiences and putting priority on being honest with people about what's good for them over something that might might earn you an easy commission. I've existed for 46 years, am 6', 165 lbs and, based on past measuring experience, am guessing to currently be about 13-14% body fat. Superb heath, fitness & quality of life and looking extremely good naked are the main reasons I make diet and exercise a priority. :) I have been lifting weights regularly since age 16 & am most similar to an ectomorph body type. I am a "hard gainer" and the 2 body parts I wish to change the most are my thin arms (R 13", L 12 7/8") and my waaaaaay skinny calves (R13 3/8". L 13 3/4"). I like to stay active and the 2 main sports I participate in right now are kiteboarding (am in the business) and snowboarding. I'm pretty sure due to my waay too much on my plate lifestyle and the stresses of running 2 businesses, I carry a lot of tension in my neck... A LOT, in fact I have not been able to get rid of the tension on the left side of my neck for at least 6 mos now. I've also always had creaky, weak knees. I have to be very careful in the gym to keep from injuring them. Still, I am able to squat, dead lift, etc, as long as I keep form and haven't hurt one despite of my prudence! I am trying to decide on which program to start with. I've always had the desire to bulk up to solve the skinny arm and leg situation, then retain. I'm by no means looking to be a bodybuilder but the pure fact that I've alway felt a little skinny has always made following a bodybuilder program the natural choice for me. My aesthetic goal would be more of a good, lean "wannabe" body builder result with a body fat percentage just low enough to reveal a nice ab set. However, over the last 30 years, I have come to the realization that unless I continue dedicated to a body builder routine, I'm going to lose all that muscle I've worked so hard to gain.... and in my situation, very quickly at that! I was getting ready to pull the trigger on the Body Beast program, but after my research on the program (especially on your site) I want to be sure this would be the smartest, most efficient plan. My plan being to use the Body Beast program for the 90 days to gain lean mass, then investigate a program to get me in better shape for my boarding activities as well as learn how to minimize the tension and joint pains, etc, for a better quality, active lifestyle. BTW, I plan to investigate programs like Tai Cheng and see how that might fit in to the schedule while concurrently dedicated to another program... although so far each of the Beach Body programs seem to be QUITE the commitment alone! Certainly don't want to get in to a biting off more than I can chew situation causing a half-assed result. Lately I have been weaning off processed foods and eating more quality real foods. i.e foods from naturally raised & fed, pastured animals, true organics, non-gmo, etc. This includes supplements. So if, for example, I followed the Body Beast, I would probably be investigating the best "real food" subs for the processed protein powders, creatine and after workout replenishments. Also, I prefer to work out in a gym. I work from home much of the time and I need to get out. It is also easier for me to go out to a gym than it would be for me to find room in my home and allocate an area conducive to getting the best results using the best for the situation equipment. That's not to say I wouldn't work out from home but if I did a weight program, I would be more apt to use the pro eqt in a gym than invest in eqt for the house. I am after the most efficient results also when it comes to workout equipment and motiving atmosphere. I'm hoping you can give me some guidance on what the most efficient way to achieve these goals would be. Your time is appreciated! Hi Coach Todd, Was looking through the web for some reviews on BODY BEAST VS P90X and your article was of great help. I started Insanity in June, lost 39 Lbs in 60 Days, then went to the hospital for an Operation which led me to not being able to work out for 40 Days, which lead me to eating unhealthy again... Am very disappointed with myself for letting go again, and have programmed to do Insanity again starting on January, 1, because I just loved it the first time and really enjoyed being coached by Shaun T. After I have lost the extra weight and got my BF% down, I am looking for a program to get myself really ripped has I am doing a shirtless photo shot in June for a Golf Magazine (I am a PGA Golf Pro) ... So I am still hesitating between P90X or BODY BEAST, but I think I am really leaning towards BB ! I like your approach on sticking to a program you are going to be dedicated to, and by watching the videos of both programs, I feel like BB is the one for me. What do you think Coach Todd ? Great article ! I started off my fitness journey by starting with insanity. P90X was too boring for me to start off. I did Insanity which shocked my body and got me excited to workout and am now doing Body Beast. I might try P90X again when this is done to keep and build lean mass while loosing more weight. Well coach todd all i can say is that i'm bout to finish my second round and my endurance is super great. For years i went to the gym and lifted weight (n i mean heavy) but my endurance was WEAK. So i will say that i agree with you. 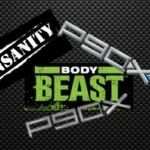 You know what would sound great a body beast p90x hybrid. Now i would be interested. I agree entirely! I have done P90x for one round and now I am starting my third week of insanity. If I wouldn't have done P90x and developed good work out habits I would not be making it through Insanity right now. Body Beast or a hybrid program will be next. Bring it!! Great article Todd...I plan on eventually trying Body Beast, but right now I'm more interested in getting down to my ideal BF% before bulking up. I am finishing up my first round of P90X this week and will be doing some of Shaun T's w/o's (Insanity, Insanity: Asylum) before looking at BB. Hey, at least I've got a plan going forward that should keep me busy for the next 90 days. At that point I'll re-evaluate my fitness level before deciding which program to go with next.